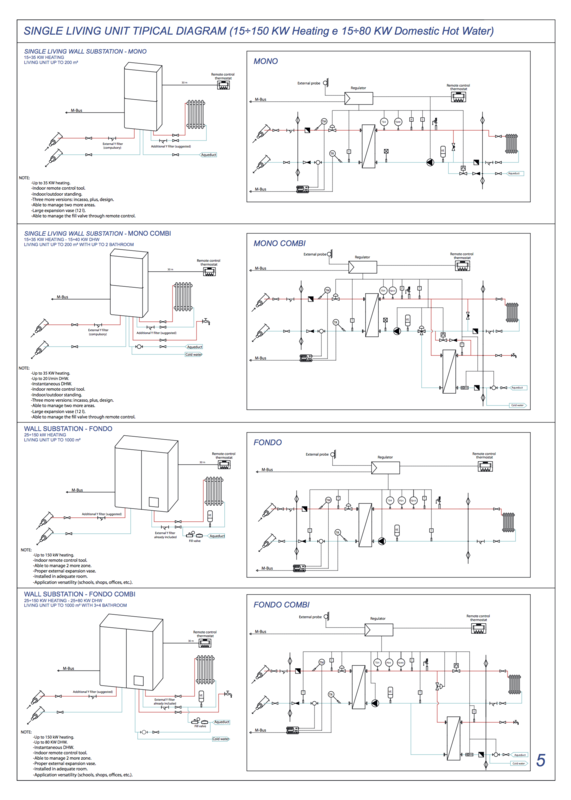 HIU Models "Fondo" and "Fondo Combi"
10 to 150 kW heating and max 180 kW DHW. Combi version: heating + DHW. For hot and superheated water networks. 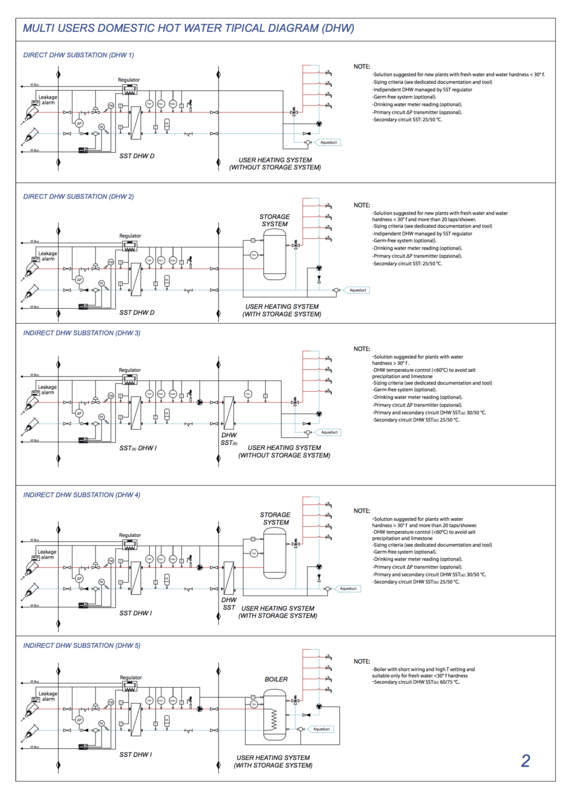 36 models for district heating and DHW with hot and superheated water networks. Direct DHW power 30-180 l/min. Combi model: instantaneous DHW production 13 30 liters/min. extremely compact, easy to fix on the wall. Very sturdy structure, AISI 316 inox pipe 2 times TIG welded. High energy efficiency thanks to complete thermal insulation. Removable front cover for easy maintenance, with the possibility to apply a security unified lock/sealing. Mechanical design pressure on primary circuit PN25. Mechanical design pressure on secondary circuit PN10. Nominal thermal conditions on primary circuit: 90/65°C (hot water network). Nominal thermal conditions on primary circuit: 115/65°C (superheated water network). Valve on the primary circuit already mounted on substation. Block thermostat with manual reset. Regulating thermostat with automatic reset. Ultrasonic heat meter complies with the legislation EN1434/MID. Possibility to apply a booster pump or a pump system. CE/PED approved through ISPESL with redundancy of safety in addition to those required by the rules. Heating water temperature and DHW setting through PID regulator. Remote control thermostat, 30m remotable with integrated temperature probe. Ready for remote metering and remote control via Meter-bus protocol or other unified protocol. Specific software for remote metering and remote control, easy to manage. Integration on the existing SCADA (Supervisory Control And Data Acquisition) systems or higher. Flow rate limit, contemporary power and temperature limit. Heating temperature compensation function according to external temperature.